A police general was killed and at least nine policemen were wounded in clashes between militants on Thursday just outside Cairo during a military operation backed by dozens of tanks and helicopters. 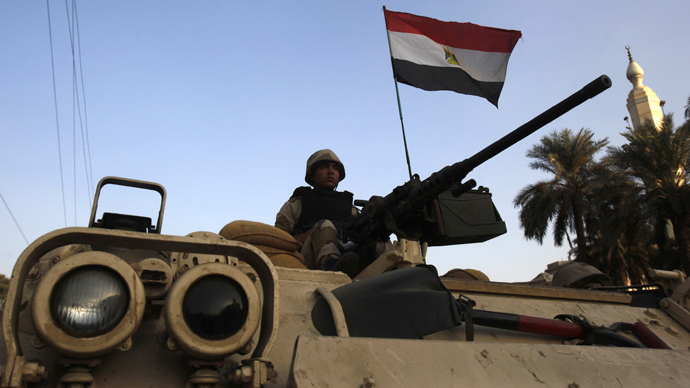 Police fired teargas and traded gunfire during a military operation in the village of Kerdasa, 14 kilometers from the capital of Cairo, state TV reported. The security forces launched a crackdown to restate their authority in the area dominated by Islamist supporters of ousted President Mohamed Morsi. 65 people have been arrested in Kerdasa so far, the MENA state news agency said quoting a security source, while dozens of weapons, including rocket-propelled grenades, have been seized. Also on Thursday the public metro transport system was shut down in the north-east of Cairo while two primitive bombs were defused. Militant attacks have been on the rise after Morsi was deposed on July 3, triggering violent clashes between his Muslim Brotherhood supporters and security forces. 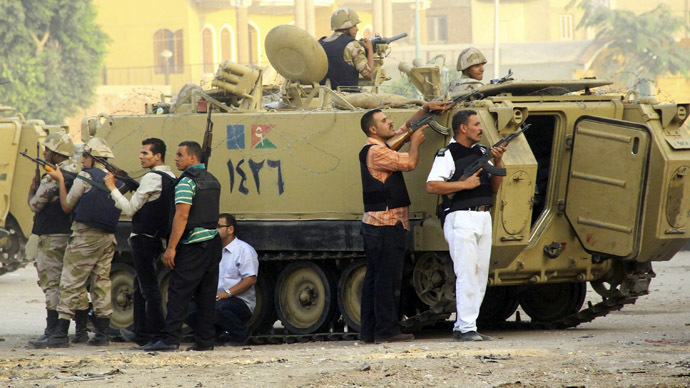 In the midst of political turmoil in Egypt the army backed authorities have launched a crackdown against Islamists. Eleven police officers were killed as the Kerdasa police station was torched in the attack on August 14. The violence was triggered by the security forces' assault on the pro-Morsi protest camps in Cairo the same day that left hundreds of his supporters dead. 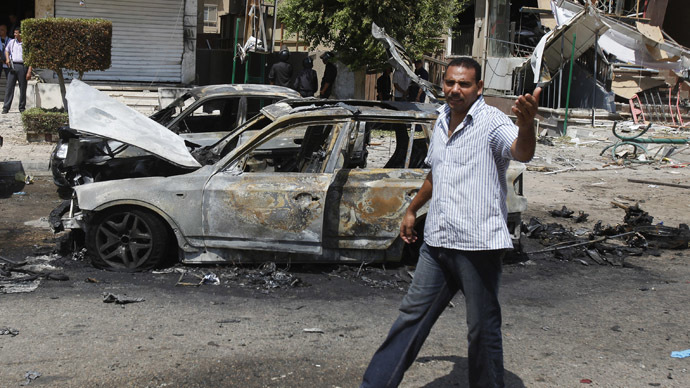 Egypt has been in a state of emergency since the August 14 crackdown. A large part of the country remains under a nighttime curfew. The government has shortened the curfew hours from 11pm to midnight on Saturdays, and to 7 pm on Fridays, traditionally a day of protest. The pro-Morsi National Coalition to Support Legitimacy has called for nationwide protests on Friday.